Linux is known for having a great number of mature, useful command line utilities available out of the box in most distributions. Skilled system administrators can do much of their work using the built-in tools without having to install additional software. 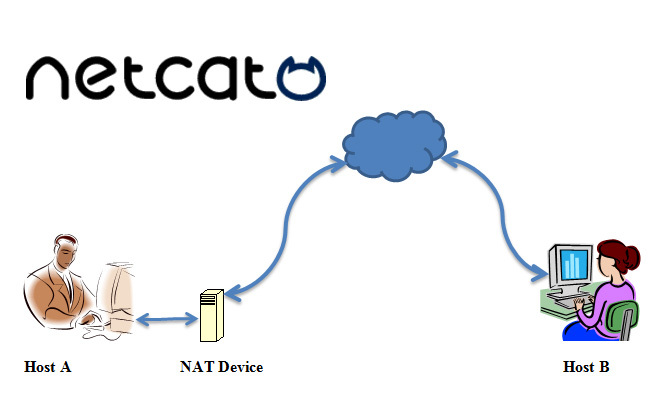 In this guide, we will discuss how to use the netcat utility. Often referred to as a Swiss army knife of networking tools, this versatile command can assist you in monitoring, testing, and sending data across network connections. We will be exploring this on an Ubuntu 12.04 VPS, but netcat should be available on almost any modern Linux distribution. Ubuntu ships with the BSD variant of netcat, and this is what we will be using in this guide. Other versions may operate differently or provide other options. By default, netcat operates by initiating a TCP connection to a remote host. This will attempt to initiate a TCP to the defined host on the port number specified. This is basically functions similarly to the old Linux telnet command. Keep in mind that your connection is entirely unencrypted. This is generally used with some additional flags. On most systems, we can use either netcat or nc interchangeably. They are aliases for the same command. One of the most common uses for netcat is as a port scanner. Although netcat is probably not the most sophisticated tool for the job (nmap is a better choice in most cases), it can perform simple port scans to identify open ports easily. We do this by specifying a range of ports to scan, as we did above, along with the -z option to perform a scan instead of attempting to initiate a connection. Along with the -z option, we have also specified the -v option to tell netcat to provide more verbose information. As you can see, this provides a lot of information and will tell you for each port whether a scan was successful or not. If you are actually using a domain name, this is the form you will have to use. The messages returned are actually sent to standard error (see our I/O redirection article for more info). We can send the standard error messages to standard out, which will allow us to filter the results easier. Connection to 111.111.111.111 22 port [tcp/*] succeeded! Here, we can see that the only port open in the range of 1-1000 on the remote computer is port 22, the traditional SSH port. Netcat is not restricted to sending TCP and UDP packets. It also can listen on a port for connections and packets. This gives us the opportunity to connect two instances of netcat in a client-server relationship. Which computer is the server and which is the client is only a relevant distinction during the initial configuration. After the connection is established, communication is exactly the same in both directions. This will tell netcat to listen for TCP connections on port 4444. As a regular (non-root) user, you will not be able to open any ports under 1000, as a security measure. It will look as if nothing has happened. However, you can now send messages on either side of the connection and they will be seen on either end. Type a message and press ENTER. It will appear on both the local and remote screen. This works in the opposite direction as well. When you are finished passing messages, you can press CTRL-D to close the TCP connection. Building off of the previous example, we can accomplish more useful tasks. Because we are establishing a regular TCP connection, we can transmit just about any kind of information over that connection. It is not limited to chat messages that are typed in by a user. We can use this knowledge to turn netcat into a file transfer program. As you can see, by piping things, we can easily take advantage of this connection to transfer all kinds of things. For instance, we can transfer the contents of an entire directory by creating an unnamed tarball on-the-fly, transferring it to the remote system, and unpacking it into the remote directory. The ending dash (-) means that tar will operate on standard input, which is being piped from netcat across the network when a connection is made. This time, the dash in the tar command means to tar and zip the contents of the current directory (as specified by the * wildcard), and write the result to standard output. This is then written directly to the TCP connection, which is then received at the other end and decompressed into the current directory of the remote computer. This is just one example of transferring more complex data from one computer to another. Another common idea is to use the dd command to image a disk on one side and transfer it to a remote computer. We won’t be covering this here though. We’ve been configuring netcat to listen for connections in order to communicate and transfer files. We can use this same concept to operate netcat as a very simple web server. This can be useful for testing pages that you are creating. Without root privileges, you cannot serve this file on the default web port, port 80. We can choose port 8888 as a regular user. This will allow it to continue to receive connections after the first connection closes. We can stop the loop by typing CTRL-C on the server. This allows you to see how a page renders in a browser, but it doesn’t provide much more functionality. You should never use this for serving actual websites. There is no security and simple things like links do not even work correctly.